Alabama is getting what some believe is an extra bye week when it plays 9-1 Charleston Southern this weekend. 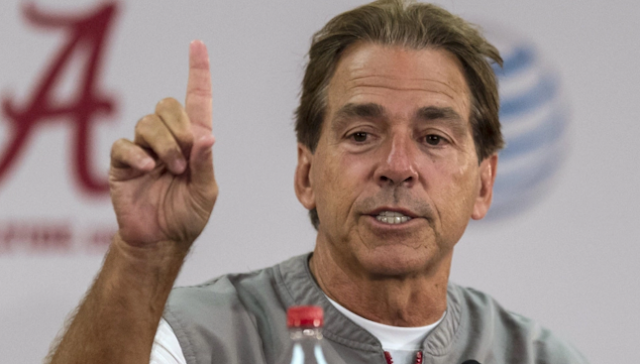 Nick Saban believes every game is a must-win situation, though. During his weekly Wednesday presser, Saban snapped at a reporter, who simply asked about Charleston starting quarterback Austin Brown. Saban then referenced back to a lacadasical blowout win over Georgia Southern as motivation. Nick knows he’s wrong for that.